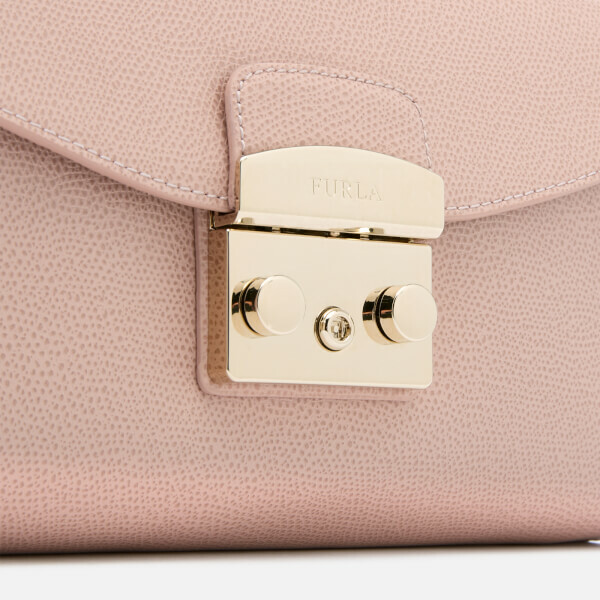 The Furla 'Metropolis' Shoulder Bag is made from textured leather to form a sleek, convertible design. 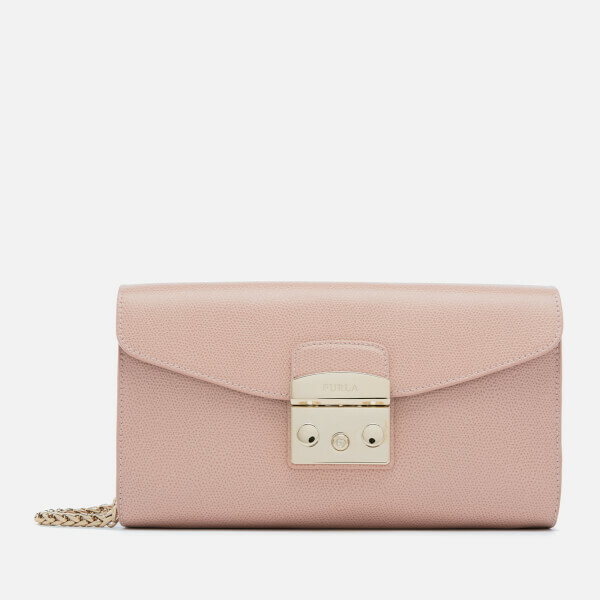 A removable chain and leather shoulder strap allows it to be worn as a crossbody bag or clutch. 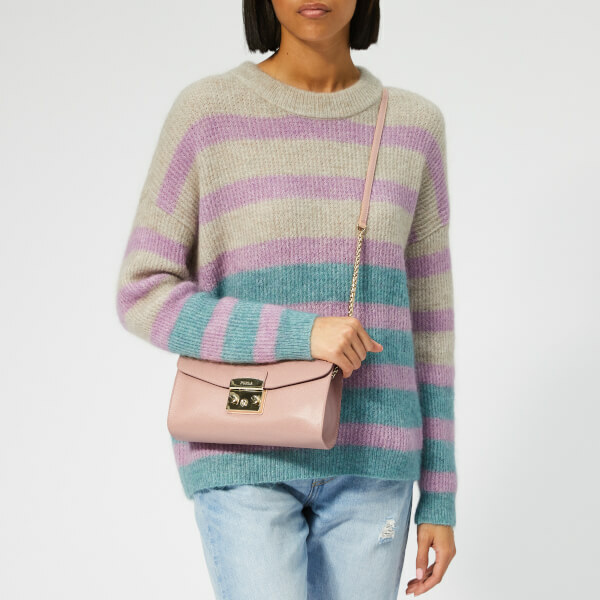 The front flap is secured with the brand's signature pushlock clasp which opens to reveal a grosgrain-lined interior with single slip pocket. Finished with gold tone hardware and engraved branding. Arrives with a branded dust bag. Dimensions: H: 13.5cm x W: 23.5cm x D: 6cm. 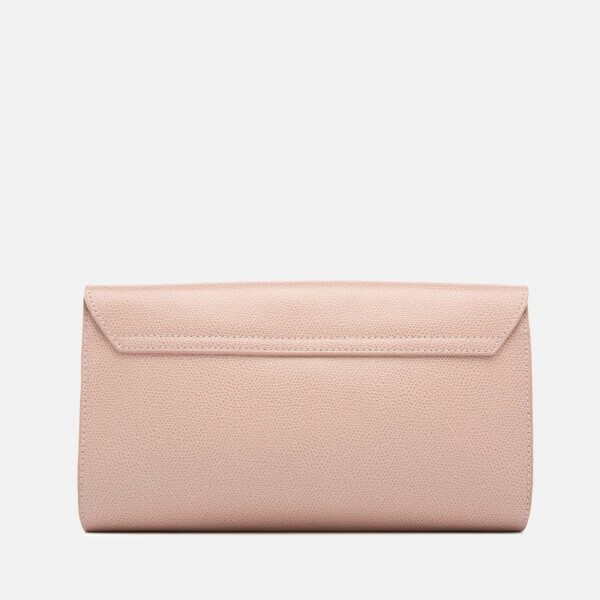 Strap Drop: 49cm.